Nutritional therapy is a relatively young discipline but already widely recognised, as policy makers, health practitioners and the general public become increasingly aware of the impact of nutrition and lifestyle medicine on the health and wellbeing of individuals. Grounded in functional medicine principles, which focus on the root causes of ill health, rather than merely treating the symptoms, nutritional therapy draws on current and emerging nutritional science and research and provides an individual approach to healthcare based on diet and lifestyle change, as well as nutraceuticals. It is relevant for people who wish to manage health concerns and chronic conditions that conventional medicine sometimes finds difficult to treat, as well as anyone who is health conscious and wishes to improve their wellbeing, enhance their stamina and boost energy levels through all life stages. Practitioners never recommend nutritional therapy and lifestyle medicine as a replacement for medical advice and always refer any client with 'red flag' signs or symptoms to their medical professional. They will also frequently work alongside a medical professional and will communicate with other healthcare professionals involved in the client's care to explain any nutritional therapy programme that has been provided. Practitioners consider each individual to be unique - influenced by their own unique combination of health conditions, biochemistry, genetic influences, environmental factors, lifestyle choices and mental, emotional and spiritual influences. They assess the ‘whole health’ status of the individual and recommend personalised nutrition and lifestyle programmes, rather than take a 'one size fits all' approach. 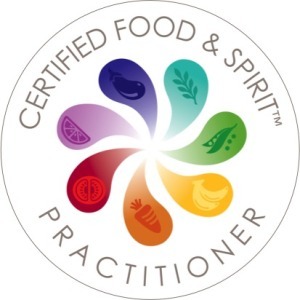 Nutritional therapy practitioners use a wide range of tools to assess and identify potential nutritional imbalances and understand how these may contribute to an individual's symptoms and health concerns. Seeking root causes of imbalances allows them to work with individuals to address nutritional status and help support the body towards maintaining health. Help you fulfil your whole health potential.